Welcome to 116 Patriot Hill Drive, Patriot Hill, The HIlls, Basking Ridge, NJ - THINKING OF MOVING? THINK YOUNG! Welcome to 116 Patriot Hill Drive in Basking Ridge, NJ, The HIlls. This stunning end unit townhome boasts 3BR, 3.1 baths, and a two car garage with an extended driveway for up to four additional cars! 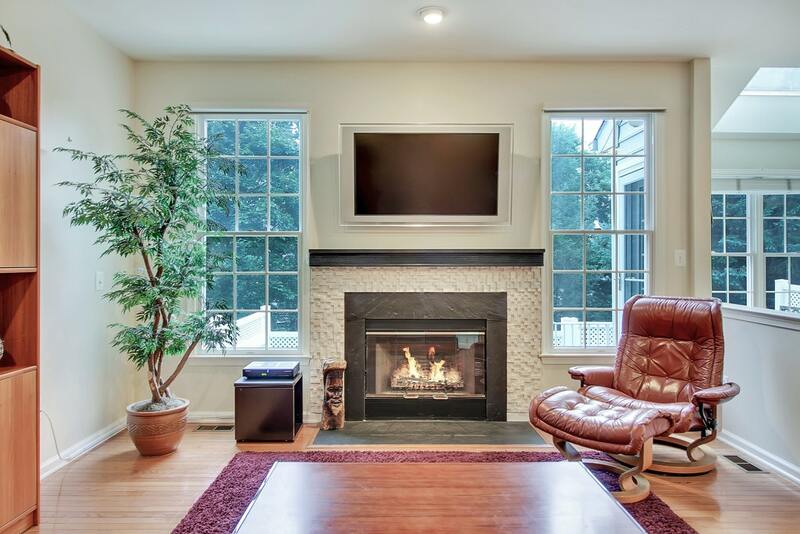 Inside, enjoy a wonderful open yet defined floor plan, hardwood flooring on the first level, and so many updates such as the rough mosiac fireplace mantle, quartz countertops in the kitchen, and a magnificent finished basement with full bath, bar/kitchenette, media space and rec room. Outside, this home backs to a lovely path, lush green knoll, and mature trees.